Wight Community Energy has criticised SSE for years on under-investment, resulting in curtailment in April and more to come in the four months to October. Image: Wight Community Energy. A coalition of generators affected by outages on the Isle of Wight has released a statement revealing that a number of assets were fully curtailed for almost the majority of April after SSE provided just two months’ notice of the disconnection. In addition, further curtailment planned from July to October is putting almost half of revenues from solar generation at risk, threatening community funds and repayment schedules, as a result of years on under-investment in island infrastructure, according to one of the generators affected. 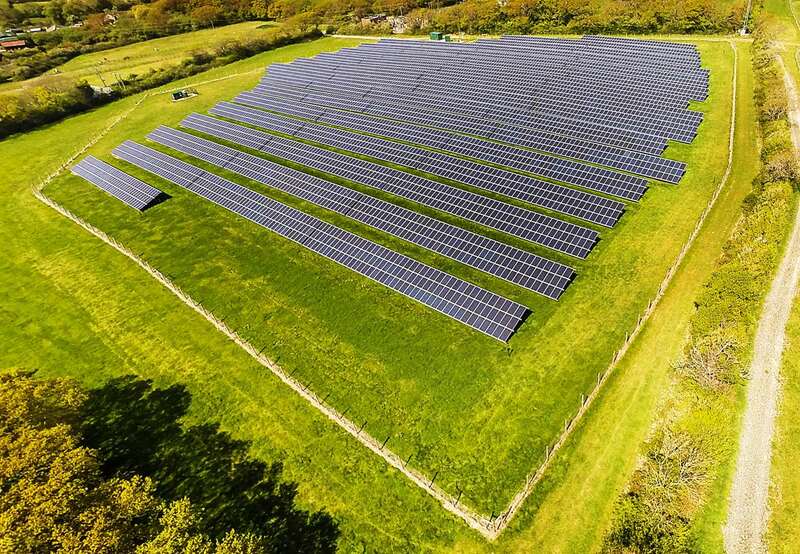 On Friday Solar Power Portal revealed that planned outages by SSE and National Grid would result in a summer of switch-offs for the IoW’s solar generators. However, Wight Community Energy has now added that SSE provided a notification of outages as recently as January and were “extremely difficult to engage effectively with” in the following weeks. This meant that full curtailment of WCE’s 3.95MW and some other generators on the island could not be avoided, while the threat of a full four months of outages between July and October remains in place. Speaking to SPP earlier today, Colin Palmer, chairman of Wight Community Energy which is leading discussions publically, said: “We have a letter from [SSE] that says we would be fully constrained from July to October; that was the original position. We've been in a lot of negotiations with them and it took a long time to get their attention. These generators – including the likes of Octopus Investments, Bluefield, Low Carbon and Magnetar – are understood to be informing their investors of the loss of revenues privately. WCE estimates that it could theoretically lose up to 54% of its annual revenues from the outages, affecting the project’s pay back to investors, including banks and the IoW council which loaned £1.7 million to the project last year. This was due to be paid back after two years with an additional £200,000 return. The IoW council released a statement to SPP saying it is in dialogue with WCE about the period of the payback of the loan and could accommodate a longer period than expected, within its overall financial strategy. “It's self-evident that we're not going to be able to pay people and therefore there will be no contributions to the community fund. We have also talked to the bank and council and everyone is being very supportive,” Palmer added. SPP learned last week that SSE was in talks with National Grid to try and limit the disruption to generators over the summer, with varying levels of curtailment expected as work is carried out. SSE requested that National Grid move its scheduled work to September/October to accommodate a late change in its own work schedule but according to the transmission operator, the DNO has yet to provide alternative dates. However, he told SPP that the disruption which has already taken place has had a positive result in that the generators affected on the island have now formed a group to co-ordinate their efforts to engage with SSE. “I think some good can come out of this because it means we are now engaging with SSE and we will hopefully be able to move towards a more sustainable Isle of Wight which is the objective. We now have the beginnings of a workable solution,” Palmer said. Prior to the publication of WCE’s statement, a spokesperson t from SSE told SPP: “We are committed to ensuring that those parties directly involved are kept informed of any developments, and we have a dedicated team of SSEN contract managers in place to address any questions or concerns that may arise during the course of this essential project.